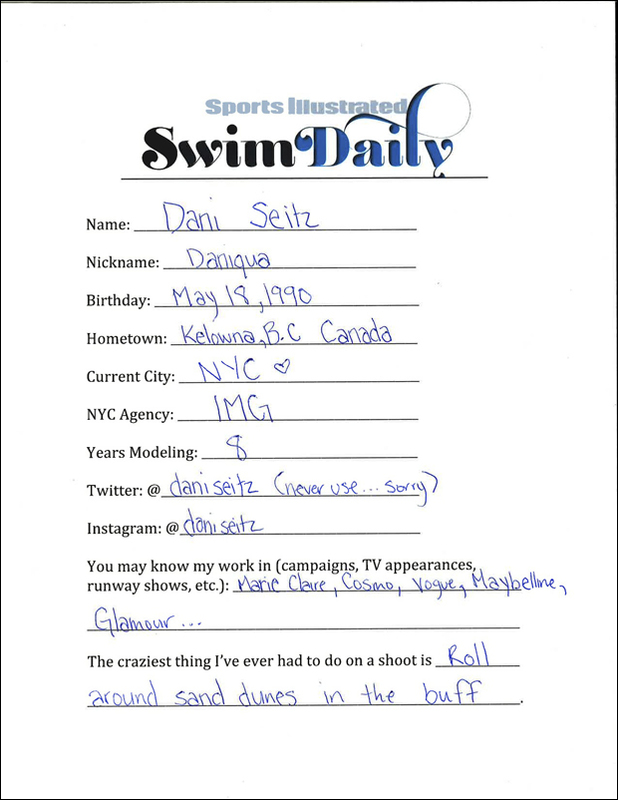 Next up is Dani Seitz​, a gorgeous Canadian who you may recognize from her appearances in Vogue, Glamour and Marie Claire. You probably didn't know, though, that her guilty pleasure is ice cream and she feels sexiest when surrounded by nature... Have we found your dream girl or what?! Join along as she plays the "Emoji Game" in the video above, and be sure to check out her bio below where she'll reveal her favorite song to sing in the shower, the best dish she can cook, and so much more! BONUS: See some of Dani​​'s career highlights below!